Starring Roddy Piper, Zach Galligan, Noah Hathaway, Naomi Grossman, Bill Oberst Jr.
TERROR FILMS is set to release a new horror film every Friday in the month of October, in a special promotion aptly titled, FREAKY FRIDAYS! Each week a new film will be released in North America exclusively on Amazon Prime. 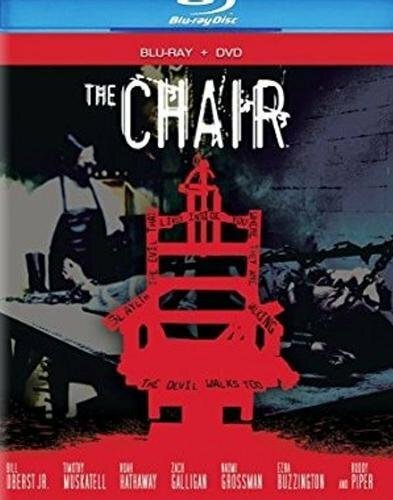 First up from TERROR FILMS is THE CHAIR. THE CHAIR is based on the Alterna Comics graphic novel of the same name. This death row horror thriller follows the story of Richard Sullivan. Sullivan is a man on death row, struggling to escape a grisly fate. Pitted against a sadistic Warden and his crew of cruel prison guards, Sullivan is forced to confront his own horrifying past as he questions his own sanity. The film, which has been well-received at film festivals, has a stellar cast. 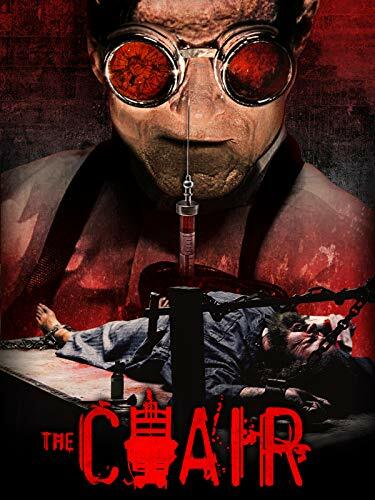 THE CHAIR stars: Naomi Grossman (American Horror Story), Zach Galligan (Gremlins), Noah Hathaway (The NeverEnding Story), Emmy Award Winning actor Bill Oberst Jr. and Roddy “Rowdy” Piper – in his final feature film performance.